SILL receives no public or foundation funding and is totally dependent on the sale of tickets and contributions to the Friends of SILL to meet the costs of presenting our lecture series. We encourage businesses and individuals to contribute what they can to the future of SILL. All contributions to the Friends of SILL are tax deductible and will be acknowledged as required by the IRS. 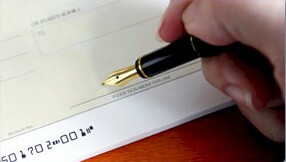 A copy of our official registration and financial information may be obtained from the Division of Consumer Services by calling toll-free 1-800-help-fla within the state or online at www.floridaconsumerhelp.com. Registration does not imply endorsement, approval, or recommendation by the state. Our registration number is CH19092. As a non-profit organization, we are very grateful for, and dependent on, our donors. We would ask all attendees to join us in thanking them for their generous support which, combined with our corporate sponsors, allows us to bring a quality roster of speakers to Sarasota, Venice and Lakewood Ranch each year. The Friends of SILL is a tax-deductible organization established to support our efforts to bring the very best speakers possible to Sarasota while maintaining our very low admission charges. Please check out our new donor levels and the related benefits, then join the growing number of SILL Friends. Thank you for your consideration! Please consider a donation to SILL. You can add a tax deductible donation to your ticket order form, hand a check to a SILL volunteer at a lecture, or mail a check to SILL Registrar, Box 219, 8499 S. Tamiami Tr, Sarasota FL 34238. Please also consider supporting our corporate sponsors. Contributions from local businesses are appreciated. Please consider an announcement in our brochure or on our website as a way of reaching thousands of senior citizens with a high level of intellectual curiosity. These are well-educated people who read, travel and may patronize your business. Please contact us for brochure and/or website advertisement price quotes. Would you like to volunteer for SILL? Let us know.